Hamas is deepening its ties with Iran and its radical Shi'ite axis. 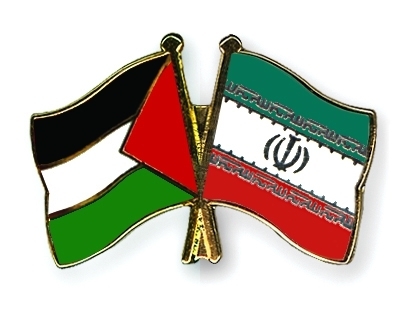 Iranian cash is once again expected to fund Gaza's war preparations and arms build-up program. Before the 2011 outbreak of the war in Syria, Sunni Hamas and Shi'ite Iran were united by their goal to destroy Israel. Iran helped arm and fund Hamas' terrorist-guerilla army in Gaza. But the two fell out after finding themselves on opposite sides of the sectarian fence in the bloody Syria war. Iran, largely through its Lebanese proxy Hizballah, has committed troops and weapons to prop up dictator Bashar Al-Assad. Now, out of cash and isolated, Hamas is in search of backing from a major regional power, and it is returning to Iran's orbit. The Iranians have been indicating that past fall-outs are history, and that Hamas will get all of the help it needs to prepare for future war against Israel. Israel's intelligence community is closely monitoring these developments. The Islamic Republic will grant Hamas "all assistance that it requests," a senior Iranian official told the Lebanon-based Al Mayadin TV network, according to Israel's Ynet website. "Relations with Iran are excellent and Iran is the largest supporter of the [Hamas armed wing] Izz Al-Din Kassam Brigades with money and arms," Hamas' chief in Gaza, Yehya al-Sinwar said. "The relationship today is developing and returning to what it was in the old days," Sinwar told Reuters. "This will be reflected in the resistance [against Israel] and in the agenda to achieve the liberation," he said. "Liberation" is a reference to Hamas' ideological long-term commitment to destroy Israel and replace it with a Palestinian-Islamist state. One immediate result of the Iranian-Hamas reconciliation is the new Hamas outpost being built in Lebanon. Lebanon is under the firm control of Iran's proxy, Hizballah. It is now seeing the arrival of Hamas members who have set up a new command center. From there, Hamas could set up terrorist cells in the West Bank. Hamas' new presence in Lebanon could also be used to create a rocket-firing base, or cross-border terror cells operating from Lebanon, with Hizballah's and Iran's approval. One of the Hamas members seen in Beirut recently is its No. 2 man, Saleh Al-Arouri. He has been responsible for remotely setting up terrorist cells in the West Bank. Until recently, Al-Arouri operated out of Hamas' headquarters in Turkey. Al-Arouri has been appointed Hamas deputy leader. He took part in a senior Hamas delegation to Iran earlier this month. Those ties with Iran are one reason why Israel's cabinet rejected recognition of a fledgling Hamas-Fatah unity government. Israel will not recognize the new Palestinian government until Hamas agrees to give up its weapons, recognize Israel, and cut links with Tehran. "Our presence in Iran is the practical denial of the third precondition -- cutting ties with Iran," Arouri said. "Undoubtedly, the Palestinian resistance forces will never give up... their arms," he was quoted by Reuters as saying. Iran's Supreme Leader, Ayatollah Khamenei, praised Hamas' stance. Khamenei's representative congratulated Hamas "for declaring that you will not set your weapons aside," according to the semi-official Fars news agency. Renewed Iranian support probably will take the form of suitcases of cash entering Gaza via smuggling tunnels. Some tunnels linking Gaza to the Sinai Peninsula remain, though many others have been demolished by Egypt. Iranian know-how in producing rockets, RPGs, mortars, and drones will also, once again, be used to train Hamas engineers, who are in charge of Hamas' domestic weapons industry. Iranian guerilla combat doctrines, which already have influenced Hamas greatly, could also reappear in Gaza, in updated forms. Iran might also try to smuggle materials to make weapons into Gaza via small fishing boats. Hamas has been open and frank about its intentions in renewing Iranian sponsorship. A senior Hamas official said it was about securing "Iranian financial and logistical support," according to the Agence France-Presse. Hamas' new relationship with Iran will displease Sunni Arab countries who, like Israel, view the Iranians and their regional destructive behavior as a top threat. But this is a risk Hamas' leadership is prepared to take in its quest to replenish cash supplies for its military and terrorist operations. Hamas's isolation - the force that drove it into Iran's arms - is also what caused it to enter a reconciliation agreement with its arch Palestinian rival, Fatah. Seeking to avoid a collapse of its regime in Gaza due to dwindling cash and energy resources, and under pressure from Palestinian Authority President Mahmoud Abbas, who had been reducing Gaza's electricity flow, Hamas decided to feign compromise with Fatah. This is a short-term tactical move designed to serve the longer-term radical vision. Both Hamas and Iran would like to eventually use the Palestinian reconciliation to depose Fatah from power in the West Bank. Hamas can be expected to use the coming years to build up its political power in the West Bank, Fatah's home turf, and then try to take it over through elections. Hamas's end goal is to create two armed fronts against Israel – from Gaza and the West Bank – with Iran creating the third and most potent third front from Lebanon, in the form of Hizballah. Hamas and Iran still have their differences, but Hamas's new leadership, and its distress stemming from isolation, have led it firmly back into Iran's orbit. So long as Egypt remains under a government that is hostile to Islamists and jihadists, Hamas will continue to see Iran as its state backer, despite the Shi'ite-Sunni divide. Meanwhile, a senior Hamas member with a history of funneling tens of millions of dollars from Iran to the organization's military wing has recently been unveiled as a new top-level overseas liaison, according to Israel's Kan television news service. Maher Salah, a senior Hamas financier, recently appeared at a Turkish rally for the deceased Egyptian former Muslim Brotherhood leader Mohammed Mahdi Akef, in which he eulogized Akef as one who "loved jihad fighters and the jihad for Allah." The U.S. Treasury Department sanctioned Salah, together with Al-Arouri, in 2015. "The fate of your country is to pass from the world," Salah said, addressing Israeli Prime Minister Benjamin Netanyahu. "The fate of your kingdom is to be eliminated. I promise him that his country will not live to celebrate 100 years." Salah could use his ties in Iran to restart large-scale terrorist financing efforts. The Gaza Strip is the quietest it has been in 30 years, and Hamas today remains deterred by Israel's military might. But its recent actions and statements show that Hamas is exploiting the ceasefire to gear up for long-term and destructive conflict with Israel. It is returning to Iran's fold to help it in this effort.